Protos which is located on the south bank of the Manchester Ship Canal, it is approximately 9.5 miles to the east of Chester, 18 miles south of Liverpool and 33 miles west of Manchester. 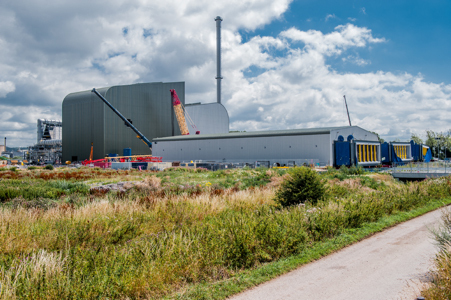 The site has planning permission for a 21.5 MW biomass facility capable of processing waste wood. This project was taken through planning by Peel and is being delivered by CoGen. The plant started construction in October 2015, moved into commissioning in November 2017 and is due to be fully operational by March 2018. Peel has delivered the supporting infrastructure to the wider Protos development including roadways and utilities. This arrangement typifies Peel Environmental’s business model which seeks to de-risk and deliver oven ready projects to the market.